Do you represent a Rhode Island State Government Agency and wondering how you should archive all your web and social media content? Are you trying to determine what you need to do both from a legal and a technical point of view? Here’s a guide to the different Laws and processes you should follow. What Laws govern Records Management in the State of Rhode Island? 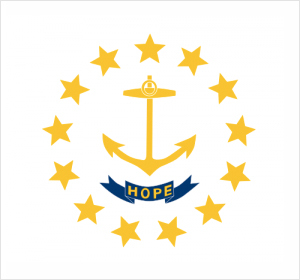 Rhode Island Access to Public Records Act (APRA) (R.I. Gen. Laws §§ 38-2-1 et seq.,) with the additional provisions of Rhode Island Open Meetings Act (OMA) (R.I. Gen. Laws § 42-46-1 et seq.,) govern Open Records in the state of Rhode Island. Do Rhode Island’s Records Laws include Website and Social Media content? A “public record” is broadly defined in APRA to include all materials generated or collected by public entities in connection with the conduct of official business. That includes written documents, photographs, tape records, and other records in electronic format, including website and social media content. With one important exception, the law does not require public bodies to create a document in a form not maintained by the agency. However, if the requested records are in electronic format and the agency would not be unduly burdened in reorganizing the data as requested, it is obligated to provide the information. Although electronic records are not specifically addressed in the Rhode Island’s Open Record Law, “public record” is defined, in part, to be any material “regardless of physical form or characteristics” and so digital content relating to official business is a designated public record. R.I. Gen. Laws § 38-2-2(4) (i). “Agency” or “public body” subject to APRA means “any executive, legislative, judicial, regulatory, or administrative body of the state … including, but not limited to, any department, division, agency, commission, board, office, bureau, authority … or other agency of Rhode Island state or local government which exercises governmental functions … or any other public or private agency, person, partnership, corporation, or business entity acting on behalf of and/or in place of any public agency.” R.I. Gen. Laws § 38-2-2(1). The law also applies to various so-called “quasi -public” agencies. Judicial bodies are subject to APRA only in respect to their administrative functions. Any public body which maintains its records in a computer storage system shall provide a reasonable format of any data properly identified. See R.I. Gen. Laws § 38-2-3(e). How can we transfer website archives made with PageFreezer to the Rhode Island Digital Archives? PageFreezer exports all data on request in the original file format including the required metadata. This data set can be transferred by FTP or by other means to the Rhode Island State or Agency Digital Archives. Fact: Rhode Island enacted its public disclosure law, the Access to Public Records Act (APRA), in 1979, making it the second-to-last state in the nation to adopt a law guaranteeing that most government documents, with narrow exceptions, are available for copying and inspection.